Pillows, like T-shirts, are a lot cooler these days. Of course if I were actually to buy all of these, my house would look a lot cooler but would be sans one wife. But I found as many links as possible, should you turn out crazier than I. 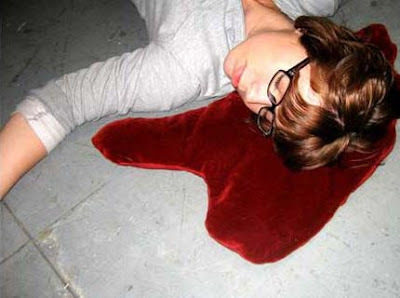 Blood pool pillow: An irreverent combination of comfort and fear. Terrify/amuse your friends and family with the always funny Massive-Head-Wound Joke! 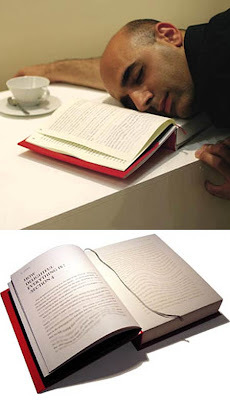 Book pillow: Instead of using a book for a pillow while studying, use a book pillow. For those who head to the university library mostly to avoid your roommates. 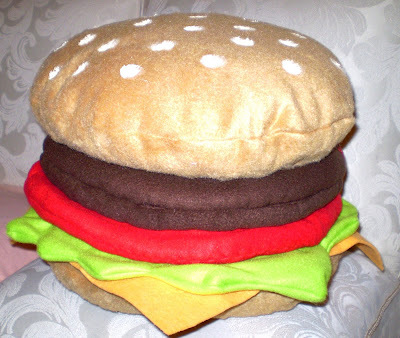 Hamburger pillow: Mouth-wateringly handmade and painstakingly realistic. Hold the onion, of course. 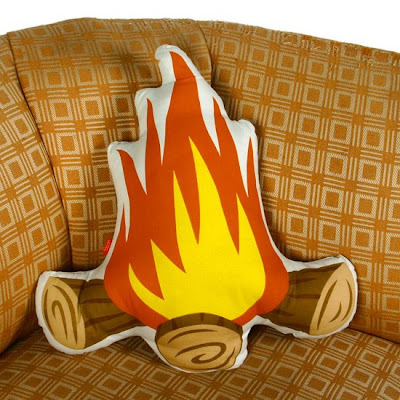 Campfire pillow: Come on baby, light my fire. Try to set the couch on fire! 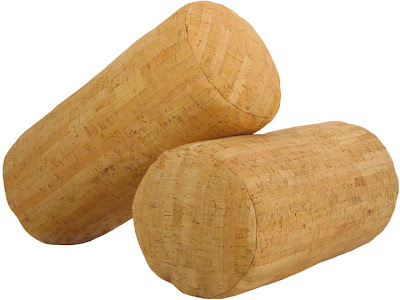 Cork pillow: Put a cork in it. The material is actual thinly sliced cork bark on fabric, for that real wine bottle feel. 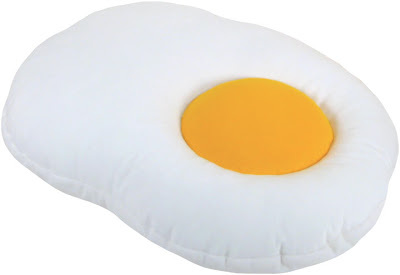 Egg pillow: Lay your head sunny side up. Next best thing to sleeping through breakfast. 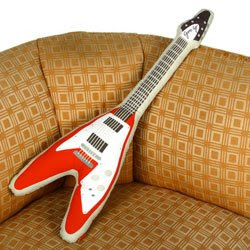 Guitar pillow: For those about to lounge, we salute you. 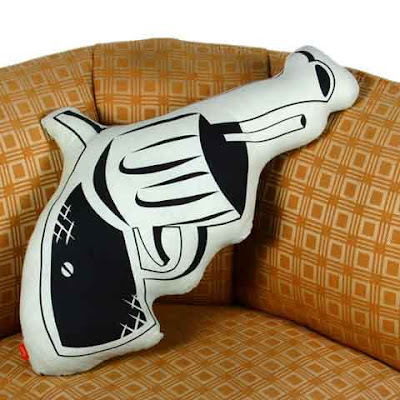 Gun pillow: Happiness is a warm gun pillow. Headhunter pillow: If you rest your head here, it may come back smaller. Horse head pillow: This Godfather-inspired pillow will make anyone a offer they can't refuse. 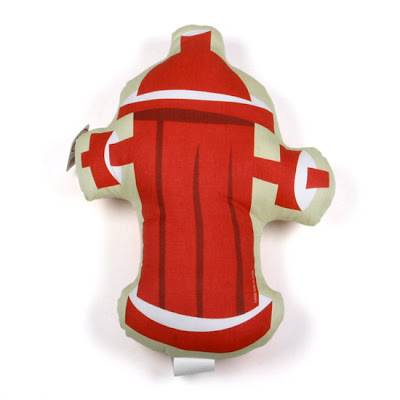 Hydrant pillow: Just don't leave it near your dog. Icon pillows: Because you love your Mac so much, you want to cuddle. Lap pillow: Shaped like the legs of a kneeling woman in a short skirt, this Japanese pillow is described as "a comfy cushion for napping, reading or watching television." They forgot the words creepy and weird. 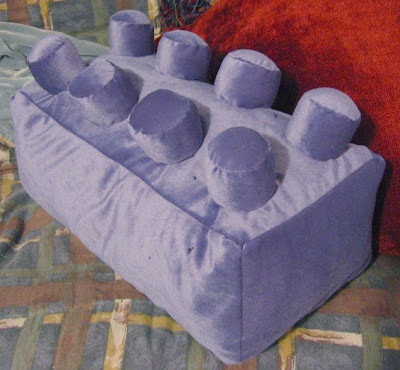 Lego pillow: When you think soft and comfortable, think hard, sharp-edged plastic bricks! 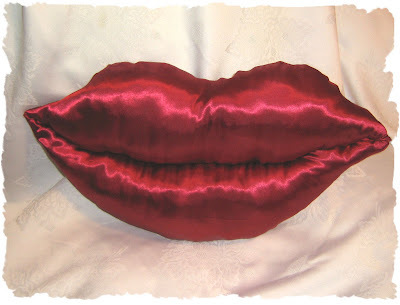 Lips pillow: It's like lying you head on Angelina Jolie's face. 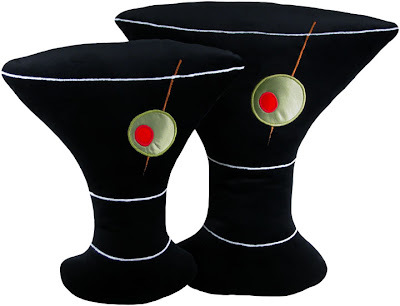 Martini pillow: Nothing says classy like black velvet, stuffed, cartoon martini glasses. 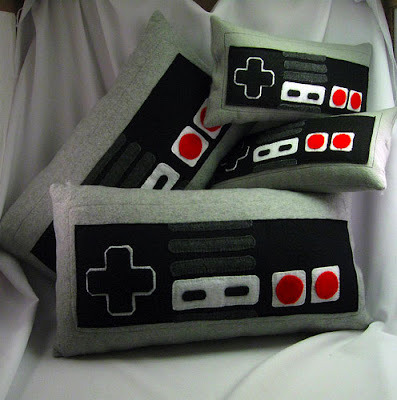 Nintendo pillows: A nice retro rest for your favourite geek gamer, at least until someone makes a plush Wii. 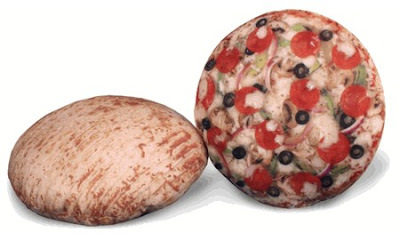 Pizza pillow: On one side, pizza toppings. The other side resembles a crust. If this was on my couch, I would end up trying to eat it. 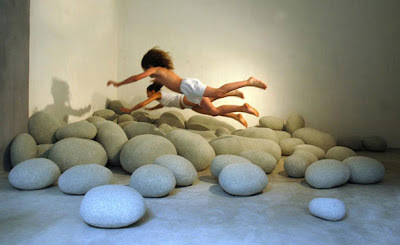 Rock pillow: There's a whole line of these pillows that look like huge rocks. Who can look at that picture without wincing? 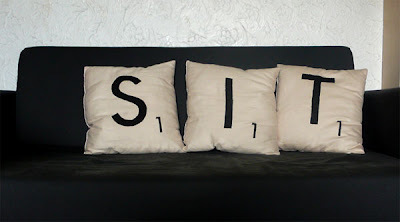 Scrabble pillow: Great concept and the original designer built couches that looked like tile holders. Still, a lousy word score. 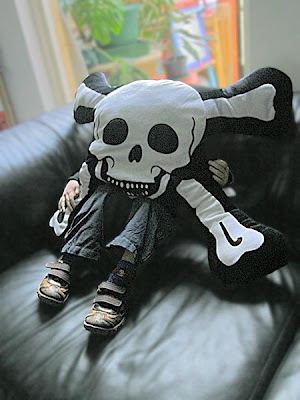 Skull and crossbones pillow: Arr, we be claiming this couch and searching for treasure under all ye couch cushions. 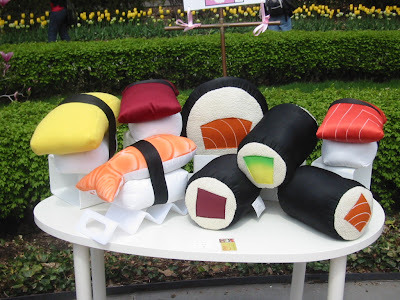 Sushi pillow: If you had to pick a Japanese food to turn into a throw pillow, it beats tempura. 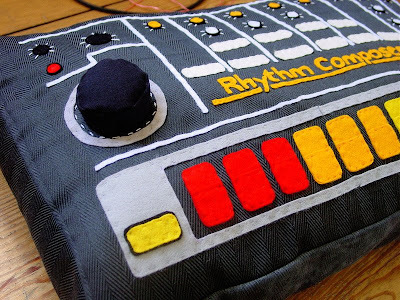 Synthesizer pillow: Hook that baby up to you guitar pillow and rock your living room gently to sleep. 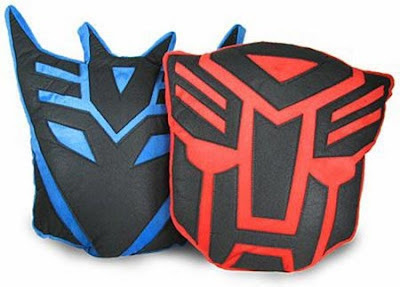 Transformer pillow: Soft and fluffy Transformer pillows, pretty much what meets the eye. 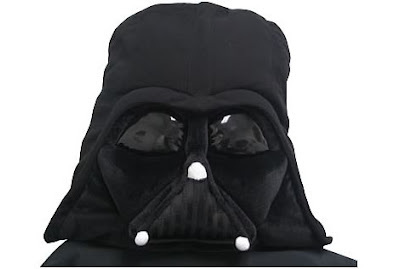 Darth Vader pillow: Our soft Sith lord. One can only assume that both sides of this pillow are always cool. Sadly, it has been discontinued. With the gun pillow, you can now hide your pillow under your gun. 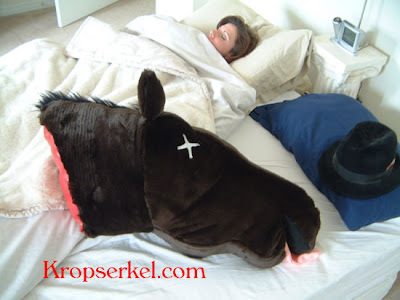 That "God Father" inspired horse head pillow is brilliant but so creepy! Those rock pillows are awesome. I just want to freak people out with them. 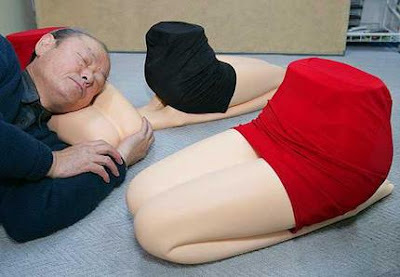 Wow, I've never thought about f**king a pillow before but that legs-and-a-skirt pillow got me a little chubby. 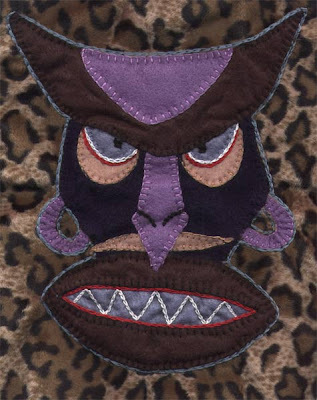 You can now design your own pop culture inspired pillow at Inmod.com, using their Pillow Design Studio. I designed one with a dog that says "mooo" and spent an hour making others. a really cool pillow gallery! This Recession Needs More Rachel!